Two British men believed to be members of a notorious Islamic State group cell have been seized by Syrian Kurdish fighters, US officials say. The four, all from London, were nicknamed "the Beatles" because of their British accents. US officials said the "execution cell" had beheaded at least 27 hostages and tortured many more. 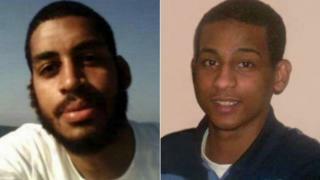 Families of the men's victims have called for the two seized men to go on trial. Diane Foley - whose son James, an American journalist, was captured and beheaded by IS - told BBC Radio 4's Today programme she wants the men to face life imprisonment. "Their crimes are beyond imagination," she added. 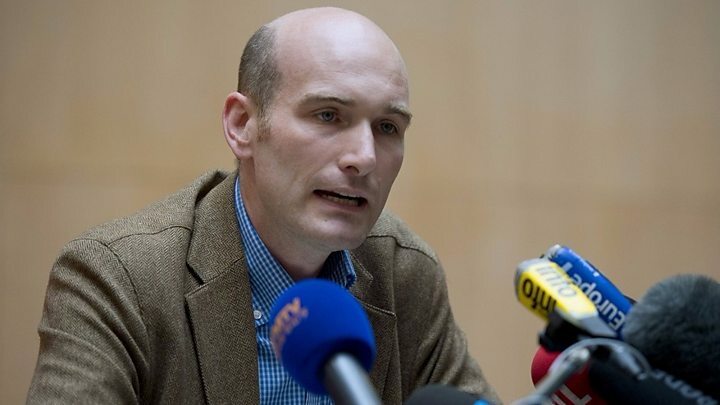 Nicolas Henin, a French journalist who spent 10 months as an IS captive, also told Today that he wanted justice. He stressed that any attempt to deny the men of their civil rights would only feed IS's claims of victimisation by the West. Who were the IS 'Beatles'? Aine Davis, also from west London, was convicted of being a senior IS member and ehe was jailed in Turkey last year on terrorism charges, after being arrested near Istanbul in 2015.
Who were the Islamic State 'Beatles'? The aim was "to allow analysts more time to pursue the intelligence leads developed from their detention and prepare raids against unsuspecting Islamic State targets", the newspaper said. The Syrian fighters who apprehended them told US officials in mid-January that the two may have been captured, and the men's identities were later confirmed using fingerprints and other biometric data. The families of the men told the BBC they were not aware of the capture until the story was reported by news organisations. The Islamic State group's self-declared caliphate - its area of control - shrunk rapidly last year. 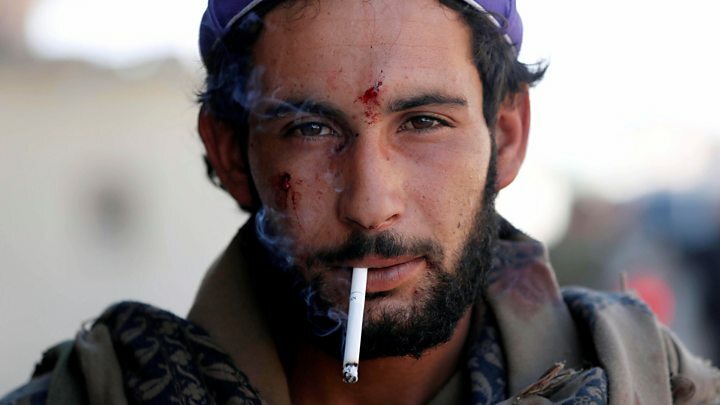 In October, the group lost its "capital" of Raqqa to the SDF. In the beginning of November, it lost Deir-al Zour in Syria on the same day as it lost al-Qaim in Iraq. The US has said it aims to maintain an open-ended military presence in the country to ensure the jihadist group's defeat. How many of the thousands of foreign fighters were killed and how many went to other countries or would seek to come home? These men will have been priority targets - but not the only ones. Their capture also raises the issue of what happens next. They could be put on trial in the US, since they were allegedly involved in the killing of US hostages - but there may be some in the Trump administration who would like to send them to Guantanamo Bay. And it is not clear if this is - formally - an issue for the UK Government, as there are reports the pair may have had their UK citizenship stripped from them using powers available to the Home Office. Who were the Islamic State group 'Beatles' cell?